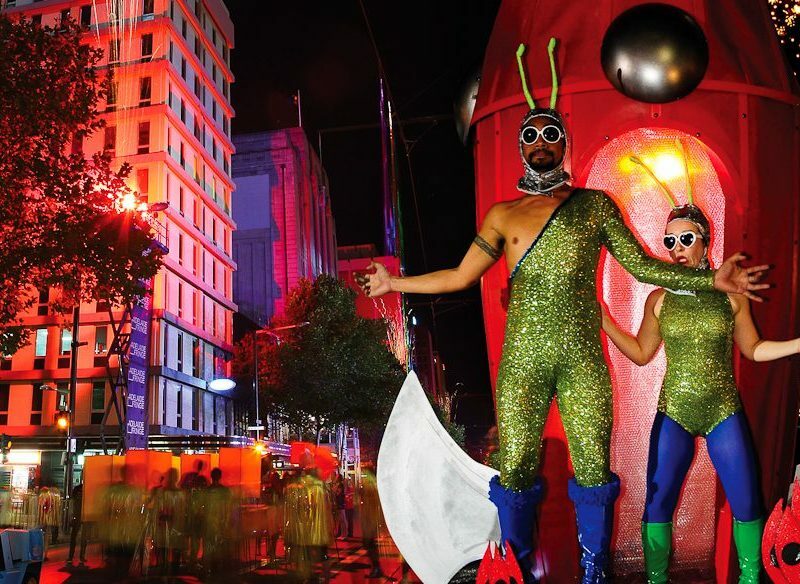 What to do, what not to do… Here are some tips to help you surf the fun frenetic chaos of the Adelaide Fringe Festival (Steve Madgwick). The Fringe is all about staying up late, with many feature shows starting well into the PM. There is always some post-performance action at either the usual or festival-specific venues to distract you on the way home so don’t be surprised if you turn into a pumpkin at some stage during your stay. Almost inexplicably, Adelaide concentrates most of its cool festivals during February and March, with WOMADelaide being one of the major stand alone events running. If you inadvertently turn up in late February during the Clipsal 500, you will come face to face with tribes of V8 Supercar worshipping men wearing matching race shirts and baseball caps (with VIP lanyards around their necks), and be confronted by the sounds of angry wasp-like race cars only blocks away from your venue. There are thousands of performers and hundreds of shows during the month-long event with some of the big acts only appearing on dates early or late in the schedule. Spend time studying and planning if big names are you thing. Book your hotel as far ahead as humanely possible, especially if you want to secure some cool digs close to the action (refer point two, ‘Mad March’). Keep in mind that a huge chunk of the action happens in the city’s inner north-east and along the commerce hub, Rundle Mall. If you are looking for tranquility, consider options further out of town. The Fringe sprawls across a large chunk of the creates its own environment of frivolity so look past the usual venues for concentrations of frivolity. The Royal Croquet Club in Victoria Square is a pop-up, circus-inspired celebration of excess while the Garden of Unearthly Delights in Rundle Park offers weird and wonderful action for almost everyone (including families). There are a record 176 venues this year so do your research. 6. What’s big this year? Who cares, the Fringe is not all about big-name comics and commercial-friendly shows – here, there is a subculture for everyone. What’s got people talking? There’s rule-bending international theatre such as White Rabbit Red Rabbit from Iranian playwright Nassim Soleimanpour; where a different performer each night is given a script they have never seen before. Visually SOAP is one pick of the physical theatre bunch; a host of acrobats splashing around in bathtubs constantly re-filled by sprinklers. And Beyonce fans can get their Queen Bee fill at one of five dedicated shows at this year’s festival. The Adelaide Fringe Guide free app is a neat way to plan your Fringe pilgrimage with all the venues pinned on a map and the ‘Shake a Show’ function giving helpful snapshots of the trillions of events on show. If you’re keen to see as many shows as you can fit in/afford the ‘My Fringe’ calender is a more than adequate planner. 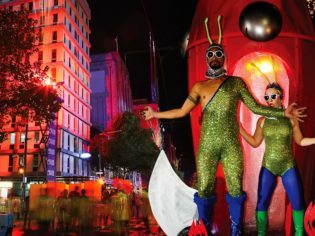 Okay, so the bulk of the action is focussed in Adelaide’s heart, but the Fringe’s fingers are extending outwards into places such as Port Adelaide, the wine regions and beyond. Desert Fringe in Port Augusta offers an indigenous alternative while the comedy stretches as far as McLaren Vale’s cellar doors. Dust off your walking boots and simply take a stroll. Much of the action just happens on the city’s streets. Check out the free performances on Rundle Mall, not to mention the eclectic array of buskers who turn up en masse for the event on every corner. Also, don’t ignore Adelaide’s usual go-to spots, which are re-energised during the festival. Try a trip to the old-Australia chic of the delightfully multicultural Adelaide Central Market. Scoff plenty of samples and grab a coffee while you’re there. The Adelaide Fringe is all about variety. Try a show that you’ve never heard of and would likely never see back in your ‘normal life’. Also, don’t hesitate to pester the curators for recommendations for more cool stuff. And if it’s a good one, pass it on! For more information see Adelaide Fringe Festival’s official website.